The following list provides detailed information on each type of volunteer opportunity at Regional Hospice and Palliative Care. Professional training is provided for all volunteers working with patients and families. Family Support Volunteers offer support and companionship for patients and their families in their home, assisted living residence or skilled nursing facility. Regional Hospice pairs trained Family Support Veteran Volunteers with hospice patients who are Veterans. Integrative (Complementary) Therapies Volunteers offer patients their expertise in massage therapy, reiki, music, hair styling, nail tech or art. Pet Partner Volunteers visit patients to offer animal assisted therapy. Spiritual Care Volunteers complete the Family Support Volunteer hospice training and have a special interest in providing faith-based support for patients and families. Administrative Volunteers help with office support, including filing, data entry, mailings, computer tasks or other clerical activities. 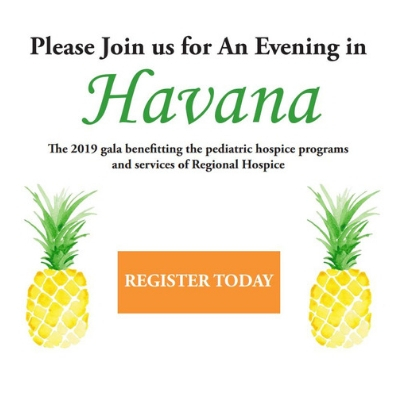 Fundraising Volunteers have a variety of opportunities to help Regional Hospice and Palliative Care raise funds that allow our agency to provide our important programs and services. Bereavement Volunteers work under the direction of professional bereavement counselors to offer phone and in-person support. Log your hours or sign up for a shift in the Center! Lobby Greeters welcome patients, families, and visitors to our beautiful, inpatient hospice facility, the Center for Comfort Care and Healing. Trained musicians visit the Center for Comfort Care & Healing to provide music to patients and family members. The “Milestone Singers” are a group of volunteers who have a commitment to bringing ease and comfort to patients and their families through song. Volunteers design floral arrangements twice a week for the patients at the Center for Comfort Care & Healing. “I was determined to ensure that the end would be as dignified as possible for Pat. And it was a happy ending," explains Regional Hospice volunteer Ed Ruhl. Inspired by his time as a Regional Hospice volunteer. Paget considers it the ultimate gift to be with people and help them take their final journey. Join us for our four-day new volunteer training if you would like to work with hospice patients. Join us for our three-day new volunteer training if you would like to work with hospice patients. An evening new volunteer orientation for people who would like to work with patients and families.